In one of my older posts, I talked about how I settled my credit card debt with HSBC. 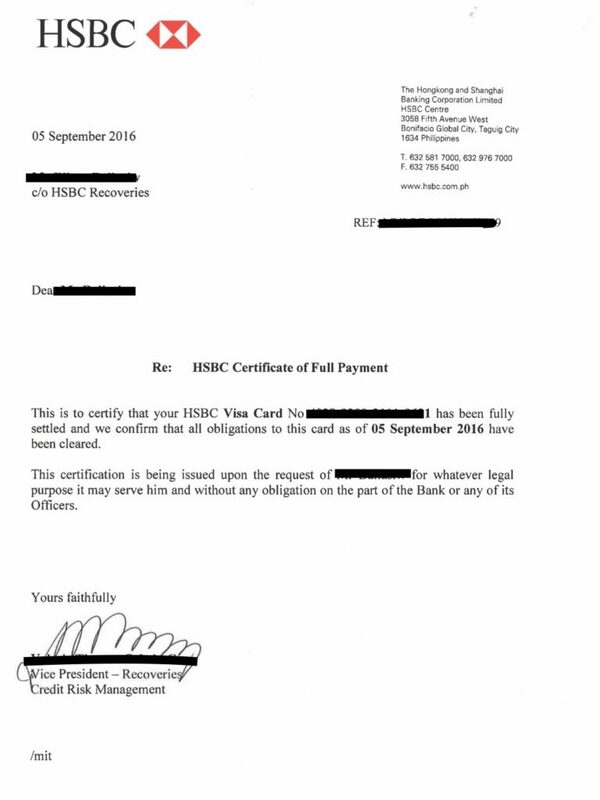 The article How to Get a Bank Clearance for your Credit Card, is where I outlined the actions that I did in contacting HSBC and negotiated on paying my 6-year old debt. Yes, six (6) years! I stopped paying my credit card in 2010, and only had the courage to call my bank in 2016. The truth is, I always had the intention to contact them but I didn’t know when and how. The fear in my mind is making up all these possibilities like the need to hire a lawyer and appearing in-front of a judge in court. All these kept me away from debt collectors, and I managed to evade them for years. Thankfully, I made the right decision to not entertain the debt collectors! I never thought that I could resolve everything with just one call, and a trip to the HSBC office in Taguig later. It was absolutely hassle-free! 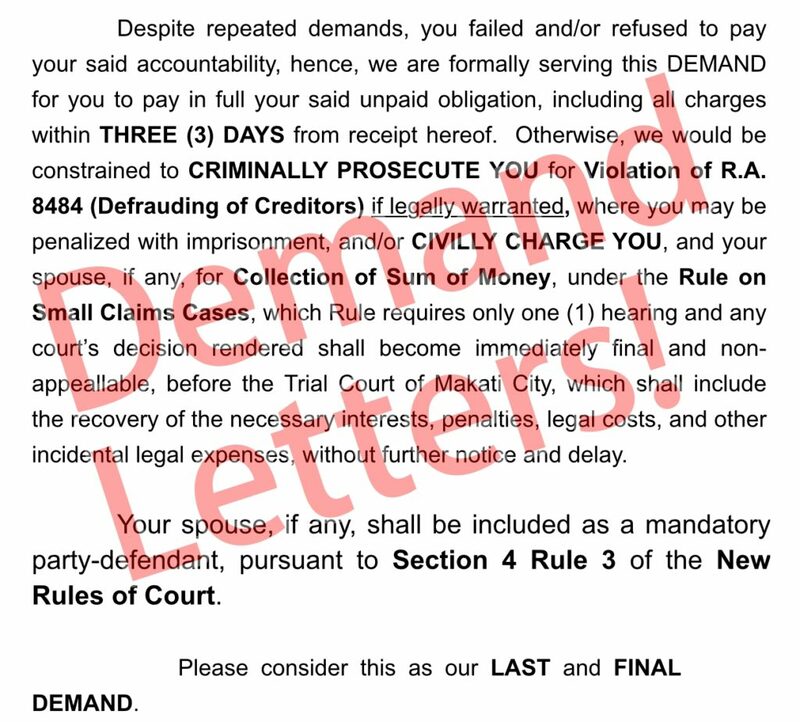 No debt collector from whatever law firm they claim to be working for, is involved! So, what did I do to save enough money and be confident enough to call my bank? This is where the difficult part of the story comes in. After I stopped paying my credit card in 2010, I started thinking about being more responsible financially. 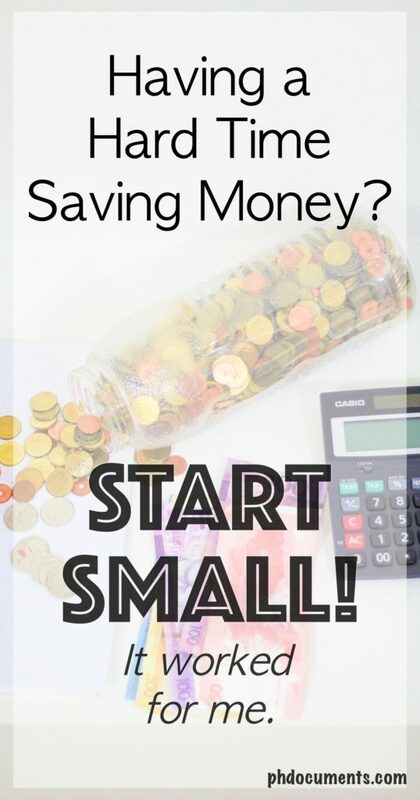 However, I never really saved money prior to that so I didn’t know where or how to start. Moreover, I was partying the entire time in 2010 and 2011. Needless to say, when I left my job in 2012, my bank account was empty and I shamelessly relied on the help of my siblings for three months until I got another job. Two months into my new job, my boss in the US invited me over for a training and meet and greet. My company prepared all the paperworks and when it was time for me to appear in the US Embassy for the dreaded Visa interview, HR asked me to bring a copy of my bank account statement. Imagine how embarrassing it was to tell them that I didn’t have a property, no car, and no bank account other than payroll. I landed a new job and decided to save money and settle my then two-year old debt. At around this time, I also started earning extra cash from my sideline as a wedding photographer. However, I was still recovering financially from being jobless for three months, so I actually barely saved anything that year. I opened a new savings account with BDO. I chose BDO because I was aiming to qualify for the BDO Reward’s card, a move that I did not regret doing later. This has inspired me to save even more. My weekends are still devoted to my photography gigs. I was earning around P2,000-P3,000 per assignment (equivalent to roughly P10,000 a month). It pays the bills, literally. Both my day job and sideline are doing fine. My photography group raised our wedding packages pricing so I was now getting a share of P3,000-P4,000 for every shoot; our weekends are fully booked! However, I was not seeing any improvement on my savings account. It is still stuck to its maintaining balance, and that prompted me to review how I am saving. As mentioned above, I was not used to saving. I was raised with a “loan mentality” so saving money is not in my nature. But by saving only a small amount every payday, I was putting this “saving mentality” into my system at a very slow pace. A pacing that my financial spirit could absorb and handle. The good news is, it is working! Ironically, this was when the calls from debt collectors started coming in, again. I travelled to the US in March of this year. It was my first time outside the country so it got me really excited. Although everything was paid for by my company, personal spending was unavoidable. In May of the same year, I bought a MacBook which I thought was a good investment for my photography needs. I paid 50% in cash, and the other half through a friend’s credit card for a six-month installment plan. For the next six months, I was paying her around P6,000. That was a new aha! moment for me. I thought, if I am able to save 10% of my salary and pay my friend P6,000 every month, I should now be able to save that same amount moving forward! I could now do the 50-30-20 rule! And so I did. I started saving more. By the end of 2015, I paid the reservation fee for a condo unit. A move that almost lead me into depression the following year. One of the usual pitfalls for first-time money savers is: getting too excited of how much they’ve already saved. 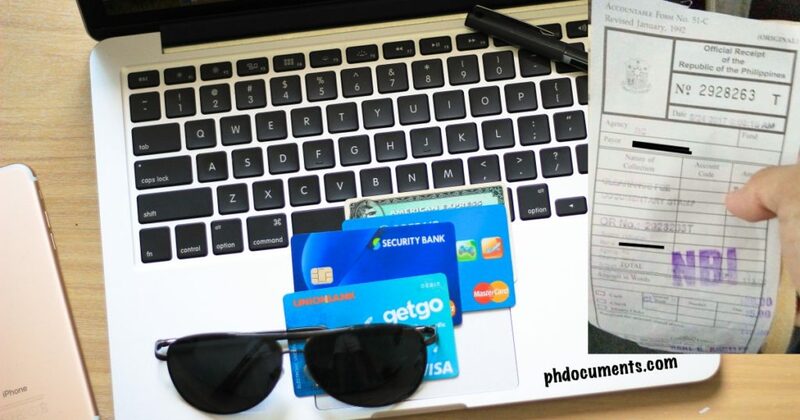 After paying the reservation fee for a condo unit the previous year, my agent quickly prepared all the paperworks and before I knew it, I was already allotting a big chunk of my budget for the downpayment (at a 12-month installment). Unfortunately, I also decided to let go of my sideline that year. In short, I brought in a liability but removed an asset. On the other hand, I was already starting to believe that acquiring a property that year is a huge mistake (and a financial advisor would tell me that for sure, if I consulted one). For months, I was getting rejection after rejection from banks who wouldn’t approve my home loan applications. At some point, I considered giving up on the over P200K downpayment that my siblings and I already paid. I thought, perhaps, the condo is not for me or not for us. But as what they say, God works in mysterious ways. It turns out that it was both a blessing and a blessing in disguise. Because this made me finally decide to contact HSBC to pay my six-year old credit card debt and get a bank clearance. Luckily, I was able to negotiate and brought the amount down from P120K to P35K! What was initially a harrowing experience turned out to be joyful in the end. 2016 was the most financially challenging point of my life. It has taught me so many lessons that in the middle of 2017, I finally decided to document everything through this blog, with hopes that what I am sharing will be helpful to someone who’s going through the same phase. Yes, always remember that this is just a phase. If your credit card debt is giving you nightmares, you will get through it for as long as you have a genuine intention to settle it when you can. For six years, I was hiding from credit card debt collectors. My LinkedIn and JobStreet profiles were set to private because I was afraid they could find me there. I would get anxious if I get a call from unknown numbers, and worse, when debt collectors found my new employer and reached my office extension number. I did not ask for miracles that my debt will suddenly disappear, although I did pray for some divine intervention. And because paying my debt has always been in my intentions, the universe conspired to find ways to lead me and push me towards fulfilling that. It gave me the right opportunities (disguised as difficulties), and the right people (very patient agents, friends and siblings) to help me. The paths were not inviting at all, they were scary, unclear and rough. I was extremely hesitant and fearful at first, but when I decided to follow and go through the many obstacles, I surprisingly emerged unscratched in the end. So if you are reading this because you’ve been receiving threats from debt collectors, start saving up money and call your bank after. If you already have the money, I highly recommend that you settle your debt with your bank directly. 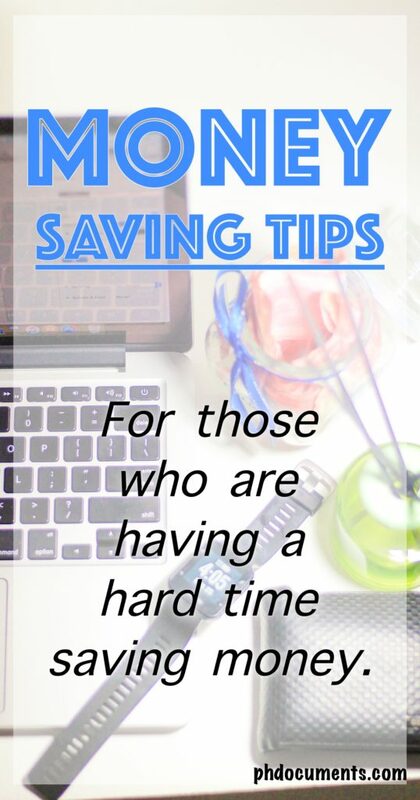 If you are having a hard time saving money, perhaps you could relate to my personal financial struggles as well. I’ve been working for over ten years now, but I only recently took saving money and being frugal seriously. 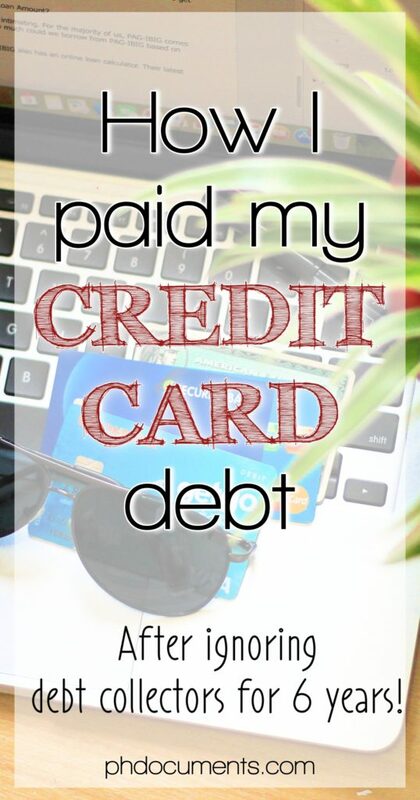 The lessons that I learned along the way played a very important role in my story of finally settling my credit card debt. May nakukulong ba dahil sa di nabarayang credit card? You may have chanced upon this hot topic at Pinoy Exchange already, and I assume that this is also the reason why you are reading this article. Did you stop paying your credit card? Have you been getting emails, letters, and calls lately? Did someone already threaten you with an arrest warrant, court battle, and had people with “police escorts” knocking on your door? Did you receive a “subpoena”? Those are all from third-party collectors, they are agents from a credit collecting agency where your “debt” was sold. Based from my experience, your bank will try to reach out to you for payment for at least a month. If you fail to pay or if they can no longer contact you (because you are no longer answering their calls or emails), they will pass or “sell” your account information to a third-party collector and let them take over. I have received the same “last and final demand” emails for years. I have received calls and emails from at least three “law firms” in the span of six years. It looks like banks actually forward your information to different collectors (unless, these collectors are moving to different addresses and change their company names every two years or so). Whoever gets to convince you to pay, gets the commission. That’s the only time that the threats will stop. Should you pay these third-party collectors? I have a friend who did because he got so worried when they were able to trace his address and actually went to their house. He agreed to pay, and they promised him a clearance that never arrived. He eventually got a clearance when he learned that I was able to get mine. Now, you may also go ahead and pay those collectors but calling your bank directly is a better option. CLICK HERE for information on how to get a credit card clearance. I don’t know of anyone who got arrested or who was denied of an NBI clearance due to an unpaid credit card. What to do next? You may choose to ignore the calls and emails while earning enough money to pay your debt. Or if you have the money, I recommend that you call your bank and transact with them directly. I don’t know about other banks, but HSBC was very accommodating when I contacted them. When my home loan from UnionBank was approved, I was required to open a savings account with them. My monthly amortization payment is to be automatically debited from the account; I thought this is more convenient instead of issuing checks, post dated or not. At that time, they have just launched a new product called the Cebu Pacific GetGo Debit Card by UnionBank which the bank representative suggested. Instead of a savings account that requires an initial deposit and a maintaining balance of Php50,000, this option has no maintaining balance. 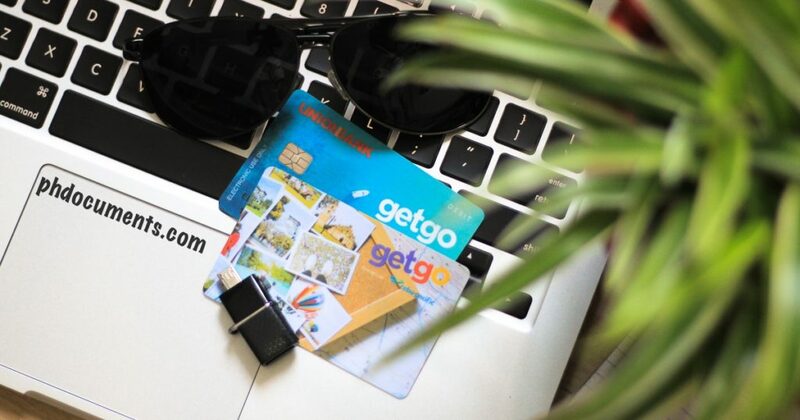 This product is also tied-up with Cebu Pacific, so every point you earn from using the card automatically goes to your Cebu Pacific GetGo account. Basically, you will get two cards – the Cebu Pacific GetGo card, and the UnionBank GetGo debit card itself. I am not really monitoring my GetGo points, but after over six months, I only earned 93 points. I’m guessing, auto-debit transactions are not counted. Personally, I am only using the debit card for its initially intended purpose, but I just recently added it as a payment option to my Uber and Grab bookings. No maintaining balance, no initial deposit. Unlike the BPI debit card which is only valid for two years, this one is valid for five years. There is an annual fee of Php500, I have yet to find out if this can be waived as my card is just 8 month olds (I will update this post by the end of 2017). Your points are converted to Cebu Pacific GetGo points (Php88=1point). On how to apply or to know more about this product, visit https://getgo.unionbankph.com. UPDATE: The My ePrepaid Card is now being replaced with the Amore Visa Prepaid Card. CLICK HERE for more information. I first started using a BPI ePrepaid Credit Card in 2011. I have renewed it three times since then and only stopped using it when I got a secured credit card from Security Bank. 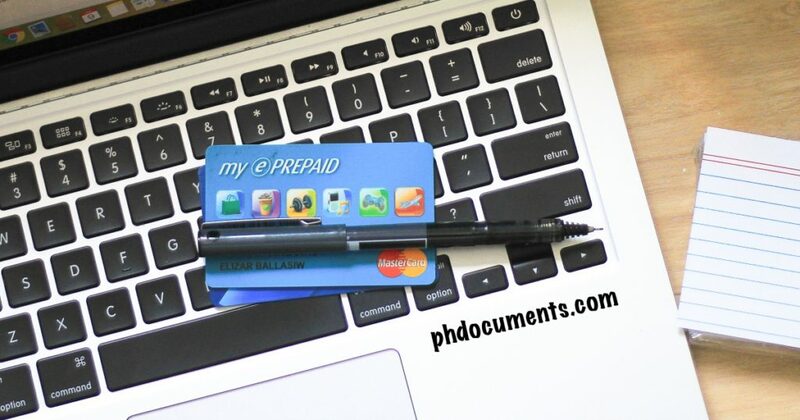 A prepaid credit card is like a debit card that can also function as a credit card (confusing, eh?). Physically, the card will have either a Visa or MasterCard logo on it. You can use it for online payments, and can be swiped at a cashier without the need to enter a pin. It doesn’t have a pre-determined credit limit. From the word prepaid, the card is “reloadable” and the amount you can spend will basically depend on your remaining account balance. Maximum load amount is Php100,000. The card is valid for two years, with a renewal fee of Php500. Can be used wherever MasterCard is accepted. Any remaining balance must be consumed as the card cannot be used to withdraw money from an ATM. Application and renewal can be done at any branch. My only issue? The Php500 renewal fee cannot be waived, and while you can accomplish a renewal request online, you still need to bring the paperworks to a BPI branch. Big turn-off to some of us who dread long lines. To know more about this product, visit https://www.bpiexpressonline.com/p/1/105/my-e-prepaid. To check if getting a clearance from HSBC could clear my bad credit card history. Just to try my luck. I was not approved and I am not surprised. I understand that it has only been four months since I got the clearance from HSBC so the chance of getting cleared from the “system” at that point is very slim. I proceeded with my next option which is to get a secured credit card. I have been hearing about this option before and BPI seems to be the most popular provider. However, I never saw any information about this on their website so I was hesitant to apply. I do have a prepaid card with them which was very useful for online transactions. I used it for about 6 years. In February this year, I submitted my application for a secured credit card to Security Bank. They call this product “Fast Track Program”. In summary, you will need to open a savings account with a minimum deposit amount of Php15,000. Your credit limit will be 80% of the total holdout amount. So if your holdout amount is Php15,000, your credit limit will be Php12,000. You can deposit more money to your account, but you cannot use or withdraw the holdout amount for at least one year. Should you need to withdraw the holdout amount, your credit card will be cancelled and any outstanding balance will of course be deducted. This is basically a test of how “qualified” you are to get a regular credit card. 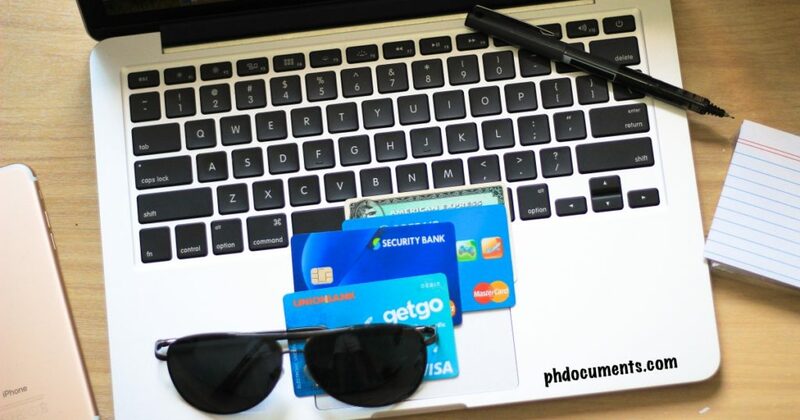 If you cannot manage your finances with a secured credit card, you probably couldn’t do so with a regular credit card. To make it even more secure, I voluntarily opt to not receive an ATM card for my savings account. It feels like a second chance in owning a credit card. I use it for the basics – groceries, Uber/Grab, and lately, on a three-month installment plan. I follow the most important rule: if I can’t buy or pay it in cash, I won’t use the card. And above all, I make sure that I pay the total balance on time. 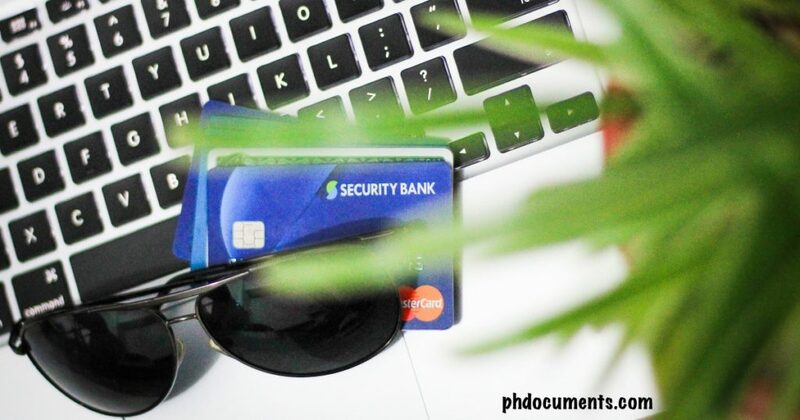 To apply for a secured credit card from Security Bank, go to https://www.securitybank.com/. The approval is 100% provided that you meet all their requirements. The processing time is supposedly 10 business days, but I got my card in the mail after three weeks. Hit on NBI Clearance Due to an Unpaid Credit Card? I stopped paying my credit card in 2010 (but had it cleared last year, CLICK HERE to find out how I did that). In 2012, I went to get an NBI clearance and despite having a very unique name, I got a “hit”. I was a bit anxious but because I needed it, I went back and claimed it anyway. No, I was not arrested. I got my clearance in less than three minutes. This was a hot topic in my old blog which I let go a couple of years ago so I decided to make another post about it. Some readers would look me up on Facebook and ask for an advice. I am NOT a legal expert but my suggestion then was always to “go claim it”, and I am giving the same advice today. Unless you are one of my followers, you must have found this post via Google. So, did you also get a “hit” and afraid that it might be because of an unpaid credit card? There may be other reasons why, often because you have a namesake who’s got a record. If you are really bothered, I recommend that you settle your credit card debt with your bank directly. I did so with HSBC, and it was not as difficult as I thought. They honored my request to settle six years after my card got defaulted. If you decided to stop paying your credit card, and have been receiving calls regularly, chances are your record has been passed on to a credit card debt collector. From what I know, banks would turn over (or sell) your record to a third-party collector after a month. If you happen to be reading this and your latest due date has not passed one month yet, save yourself some trouble by contacting your bank immediately and ask for a remedial or amnesty. You could be very honest about your financial status and be ready to negotiate nicely. This option is so much better than receiving endless calls and letters with threats later on. In my case, I avoided these debt collectors for six years. I was only renting so changing an address was easy. I also got a new mobile number although I did not deactivate the old one which every now and then receives calls from unknown numbers. Of course, I never answered. In September 2016, upon the suggestion of BPI where I applied for a home loan, I contacted HSBC. This was a last resort as BPI nor any other bank, will not consider my loan application unless I submit a clearance. I was so hesitant that it actually took my agents months to convince me to do it. The Credit Risk Management representative whom I spoke with was very nice. During the call I learned that my total balance including interests that have accumulated in the past six years is now at Php120,000+. I said I don’t have that much money and asked if we could deduct all the interest. She came up with Php35,000. I couldn’t remember my exact total balance from six years ago, it must have been around Php25,000 (without interest) so I was okay with the offer. 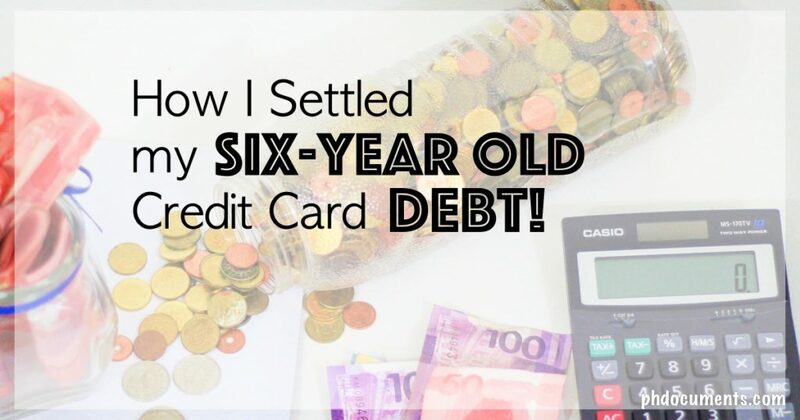 I thought it was fair and reasonable for a 6-year old debt. I agreed to meet up with the representative at the lobby of HSBC in Taguig, near St. Luke’s. We went straight to the deposit machine and she had me fill-out the deposit slip myself. We deposited the money and I kept the receipt from the machine. She then asked me to sign the clearance and handed me my copy. I checked all the details and confirmed everything to be correct. I went on and took several pictures of the clearance to make sure I have soft copies. What a relief! It was quite an experience, literally liberating. I will no longer be afraid to answer calls from unknown numbers. I can now change my Jobstreet and LinkedIn profile settings to “public”. Most of all, I can now continue with my home loan application with BPI! If you have the same problem, and don’t want to settle with rude credit card debt collectors, call your bank. Be nice.